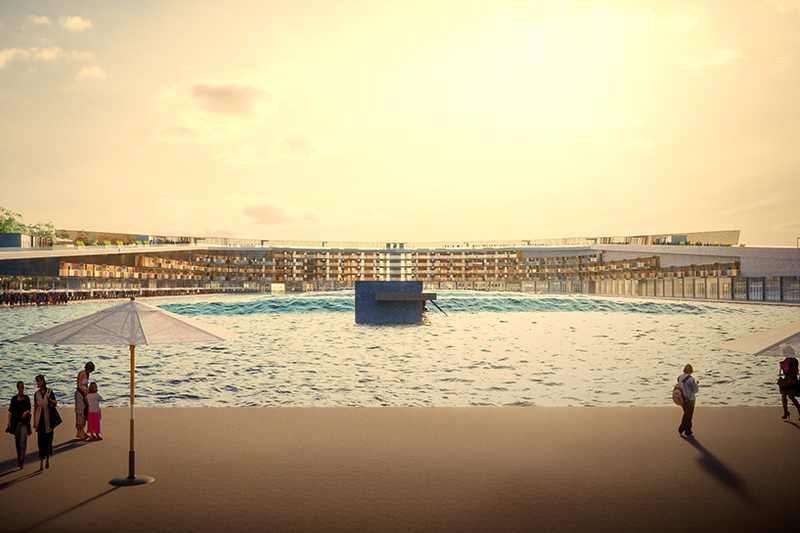 Australian firm MJA studio proposes the ‘Subi Surf Park’ as a replacement for the soon to be demolished football stadium in Subiaco. 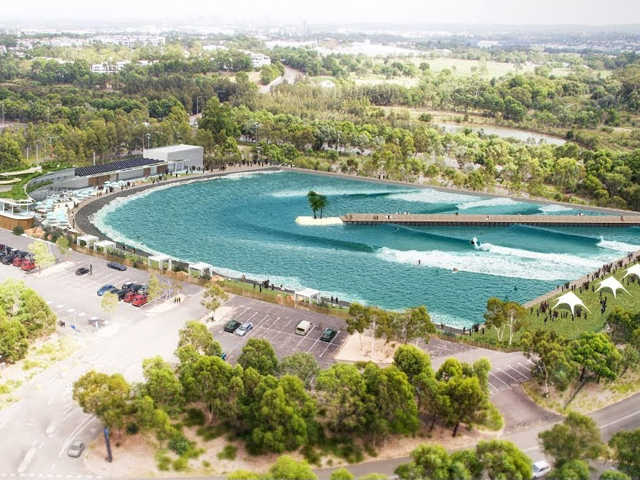 Australian-based MJA studio began developing the ‘Subi Surf Park‘ proposal after receiving a letter inviting them to participate in a community survey in anticipation to the closure of the Domain football stadium. This inevitable event, paired with the disappearance of both the pavilion and the station street market, made Subiaco, Australia, face economic, cultural and identity challenges. 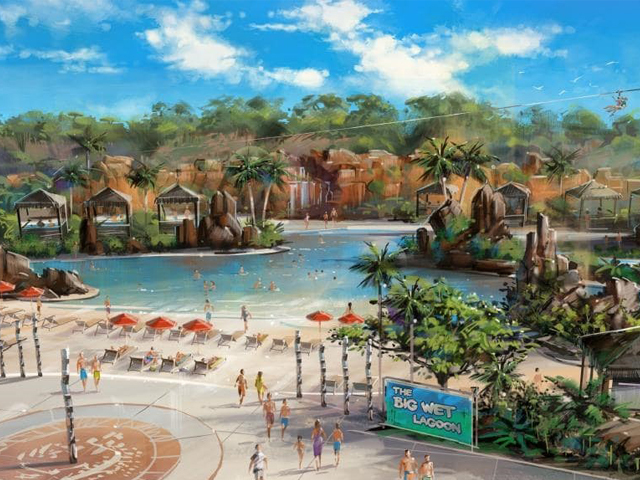 The plan suggests demolishing the current stadium and replacing it with a surf park that hosts other activities. 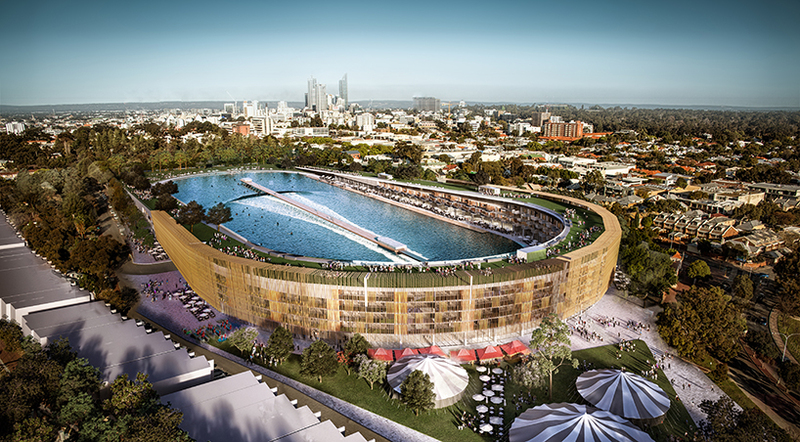 Based around the principles of inclusivity, expanded public space, accessibility, recreation and recognition of heritage, the proposal suggests the demolition of the current stadium after the last game of football, crush and re-use the remaining concrete, replace the oval with a large waterbody, and surround it with communal zones. To create more room, the public areas will be elevated, generating a hill rising above the flat topography and some space under it used for the permanent marketplace, hospitality and football hall of fame, as well as for 220 dual aspect apartments. 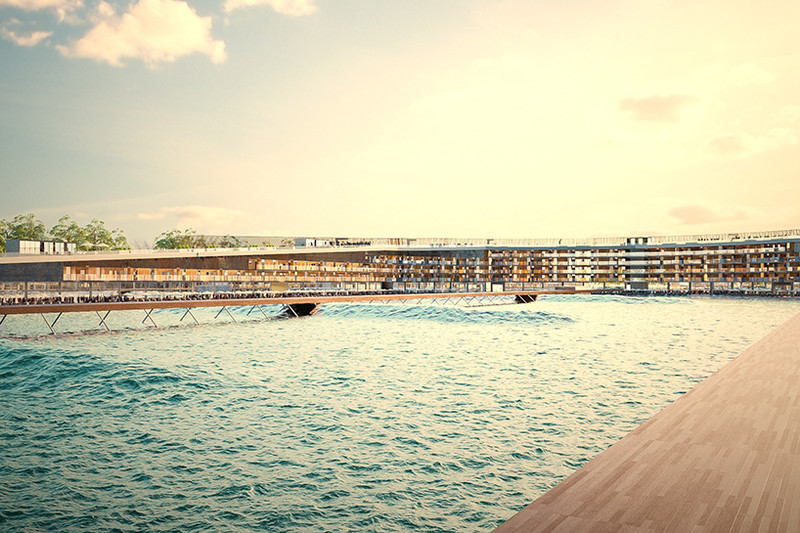 ‘Subi Surf Park’ will deliver the highest quality man-made waves on the planet, and the most authentic surfing experience for new and existing surfers of all ages and abilities. The wave technology is operated by Urbn Surf Group under license from Wave Garden. Once the lagoon has been filled, the water required per year will be equitable to what is currently used on the stadium’s lawn. The history of Australian football on the site is recognised throughout the proposal.